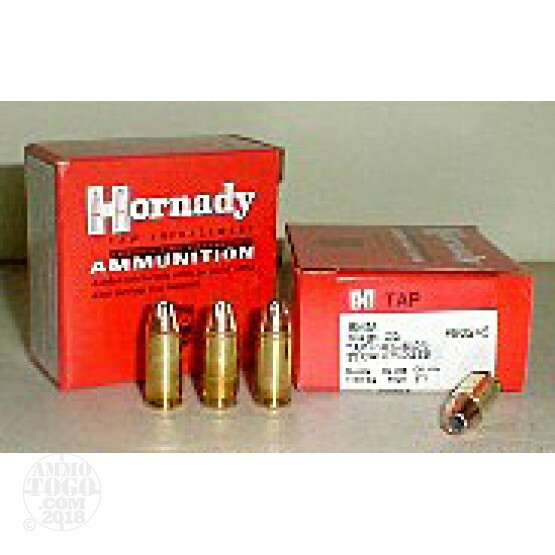 This is 45 ACP Hornady Close Quarters (CQ) TAP 230gr. +P Hollow Point Ammo. Hornady's TAP ("Tactical Application Police") CQ (Close Quarters) handgun ammo begins with the proven XTP bullet that offers extreme accuracy and rapid expansion for exceptional terminal performance. Most brass is produced in-house and each powder used is precisely matched to ensure optimal pressure, velocity, lot-to-lot consistency, accuracy and minimal muzzle signature. Hornady's TAP CQ line of handgun ammunition is the most reliable, consistent, and terminally performing ammo available to law enforcement professionals. This ammo is packed in 20rd. boxes.